Not sure if anybody ever documented something like this online. 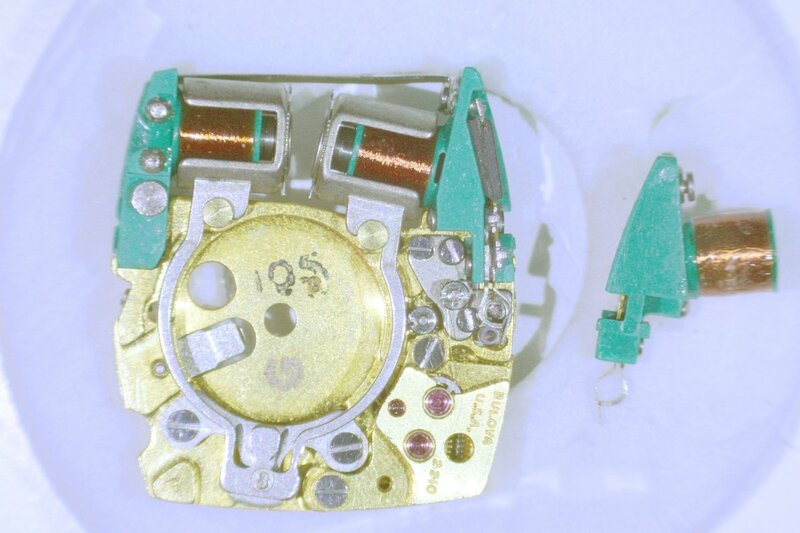 Today I swapped a defective integrated circuit (= IC) of a Accutron 2210 tuning fork movement. 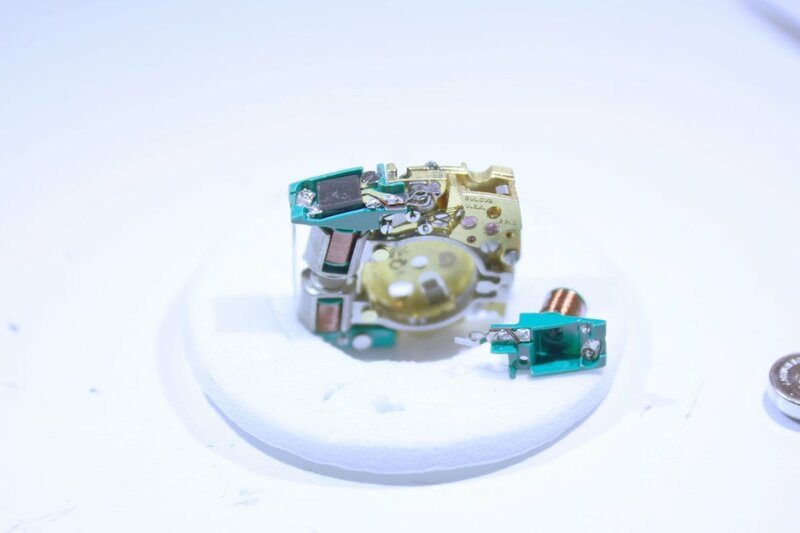 The Accutron 2210 is one of the smallest tuning fork movements ever produced. I acquired the movement below from an ebay auction together with futher tuning fork movement replacement parts. Sadly, it was not working although its two coils (A + B) not only seemed visually intact but also had the right resistance values. It was the IC which actually seemed to be faulty if I compared its values with that of another drive coil from the auction (C). 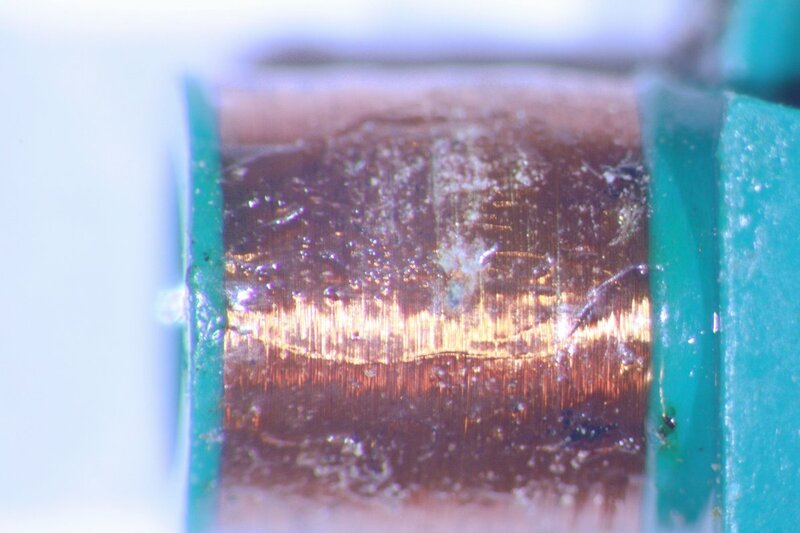 As the coil of the latter was broken beyond any repair - see the picture below which I took under my microscope - I decided to try to desolder the presumably working IC from the dead coil and combine it with the intact one. 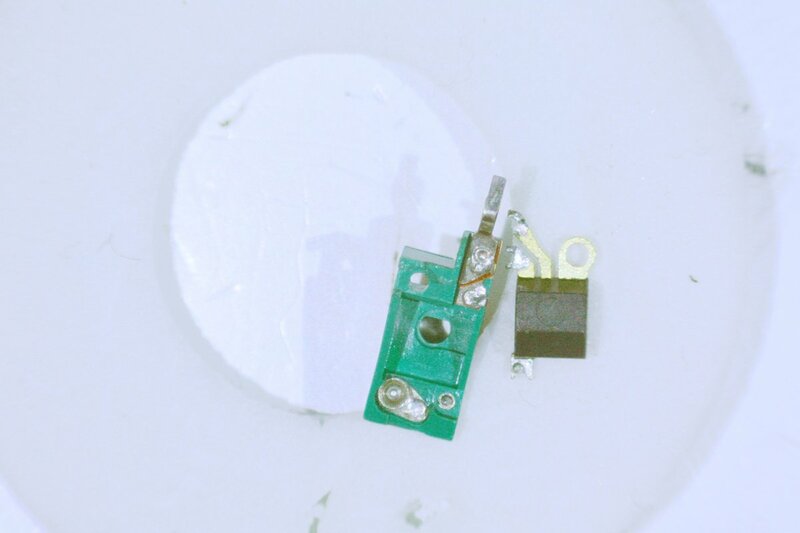 Four solder joints needed to be opened to get the IC out of its mounting - I used a SMD soldering station under the microscope to achieve this. Soldering it to the other coil was much easier. To allow for a faster soldering speed - I did not want do damage the fine coil wire / plastic by excessive heat - I used some solder flux which I applied with a needle tip. With the replaced IC the tuning fork movement started humming again when I powered it up - maybe I will post videos of the tuning fork movement in action in a future blog entry.